Why does the US mainstream media continue to participate in the government's cover up of Israel's attack on the USS Liberty on June 8, 1967? What could have inspired the virtual press boycott of such a major story involving American casualties? 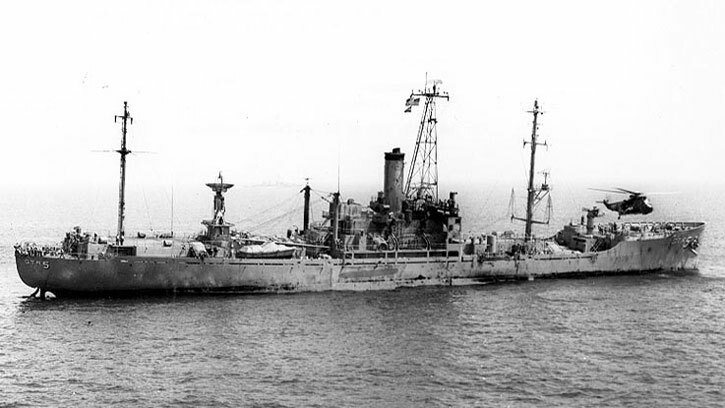 June 8th marks the 50th anniversary of the brazen and deliberate attack by Israel on the USS Liberty, a lightly armed intelligence-gathering ship in international waters off the coast of Egypt. On that afternoon during the Six Day War in 1967 waves of Israeli jets attacked the Liberty without warning. A subsequent barrage from three torpedo boats nearly sank the ship, while the two attacks killed 34 American sailors and injured 174 others. Notwithstanding the damning conclusions of the Moorer Commission in 2003, no subsequent US administration has dared break an apparent vow of silence. None of those leading US journals included my letter above in their pages. In a June 27 email to Times Middle East correspondent Ben Hubbard, I noted that the 50th anniversary of the Israeli attacks on the USS Liberty had passed without recognition and “wondered why there was then and continuing to now no coverage by the major media.” I never received a response. Just as the Hammond piece broke the web of silence around the downing of the Iranian airliner, the regional Cape Cod Times newspaper fearlessly published my letter quoted above. A few days later the CCT included my second letter inviting readers who still regard the attack as an innocent mistake to view the online videos and survivor interviews. However, the purpose of this article is not to recount details of the attack or the differing interpretations it has generated. Interested readers can find examples of both in the more than a dozen books on the subject available on Amazon and in survivor-narrated videos available on the Internet. Rather, our purpose is to ask why the mainstream media continues to participate in a continuing official cover-up. While the New York Times and other American newspapers slept through the Liberty’s 50th anniversary and survivor events, the Israeli journal Haaretz on July11 cited a CIA document, still partly censored, that relates a conversation between an Israeli pilot and the Israeli Defense Force war room prior to the attack. The material language appears in article’s title: “‘But Sir, It’s an American Ship.’ Never Mind, Hit Her! When Israel Attacked USS Liberty.” That Haaretz published this story a week ago shows that the topic remains current fifty years on. The above cited FPJ article observes that “the lack of mention of the [Iranian shootdown] …illustrates an institutionalized bias in the media.” By failing to report on the Liberty affair and subsequent investigations, the New York Times and other mainstream journals have committed a similar sin of omission.